The Switch franchise is enjoying a trial year as the Nintendo estimates shipments of the Switch in its first year at 20 million units. According to Taiwan-based supply chain makers, adding that they have a conservative estimate of shipping at least 10 million units in the first year. Nintendo expects to ship 20 million Nintendo Switch. Nintendo released the Switch in March 2017 and the new game console been enjoyed by over one million people representing over one million units of Switch in sales in the first week after the release. The cpmpany’s optimism will be said to be admirable using the Nintendo president Kimishima Tatsumi ‘s statement that once said that he ‘’expects Switch's overall sales to reach 110 million units’’. 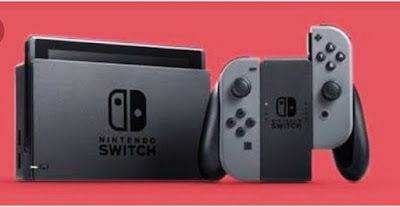 Switch's manufacturing is handled by Foxconn Electronics (Hon Hai Precision Industry) and Japan-based Misumi Electronics and Hosiden with Foxconn supplying over 50% of the volume. Foxconn makes the device at its plants in Shandong, China. Meanwhile in another News, Microsoft is planning to release a new Xbox game console code-named Project Scorpio and the product is expected to be announced at the E3 2017 event, targeting the year-end holiday season. Microsoft's new game console is expected to feature Ultra HD and mixed reality (MR) support and PC vendors' MR head-mounted display (HMD) devices are expected to be able to connect with the Project Scorpio. Again, Sony is expected to release a thinner version of its PlayStation 4. Microsoft's game console is reportedly manufactured by Pegatron Technology and Flextronics and the orders are expected to become a key revenue contributor to Pegatron in the second half. Currently, Pegatron has orders for Apple's next-generation iPhone, Microsoft's new Surface device and game console, and Tesla Model 3's control computer. CLICK HERE more on Video Game Design.